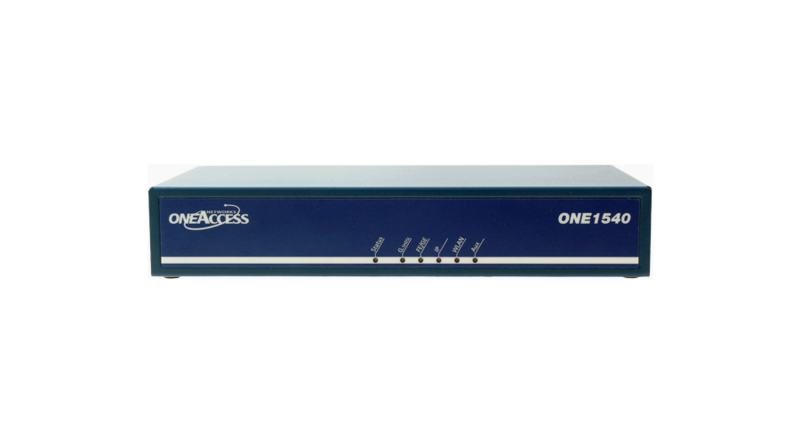 The ONE1540 is designed to provide offices with 50 to 200 desks with sophisticated, symmetrical broadband, value-add data services. As part of OneAccess’ dual-core architecture router range, it is a perfect fit for operators targeting medium-sized enterprises, or branch offices of large enterprises, with a portfolio of managed and value-add Cloud-based services. All this whilst setting a new green benchmark for low power consumption.